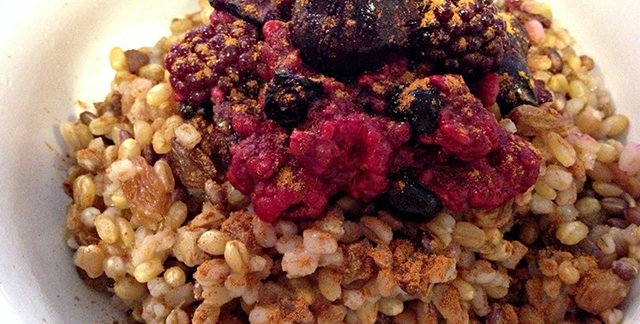 A great and fast breakfast loaded with vitamins and whole grains. In a small pot, heat up Morning Grain Medley with a few tablespoons of water. In a separate small pot, add berries, cherries, vanilla and maple syrup and 2 tbs of water. Cook grain blend until heated. Stir berry mixture until heated. Pour grain medley into a bowl. Top with hot berry syrup and cinnamon.